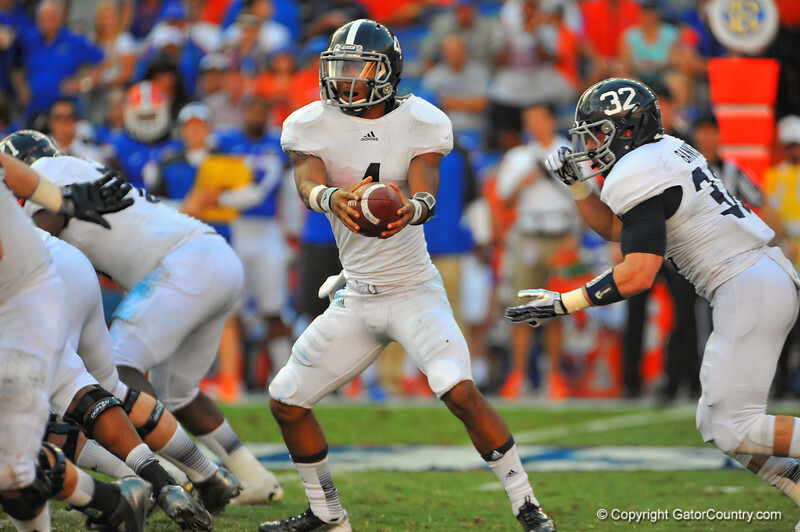 The Florida Gators faced off against the Georgia Southern Eagles in a loss 26-20 on November 23, 2013. Georgia Southern QB Kevin Ellison looks to hand off the ball in the second quarter. Florida Gators vs Georgia Southern Eagles. Gainesville, FL. November 23, 2013.